Many of my favorite emails come from my agent, the esteemed Abigail Samoun of Red Fox Literary. One of her most recent ones was one of the best. Why? Because it was an offer. 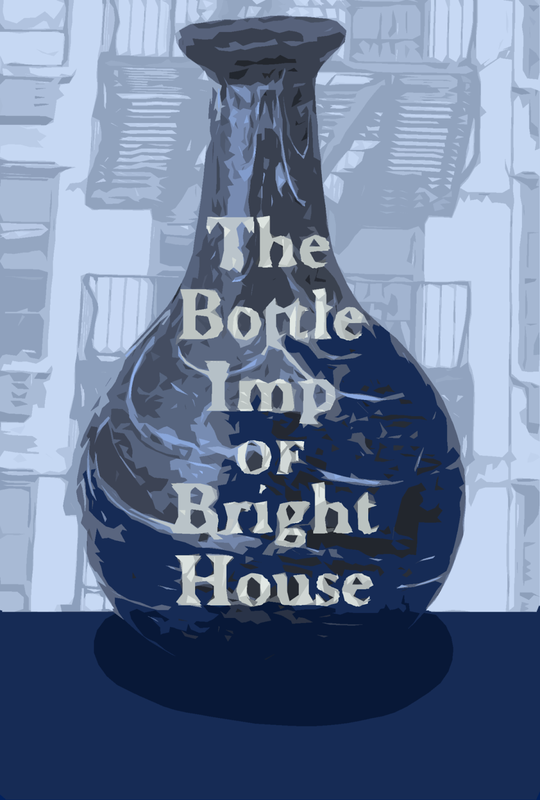 Now she's doing her magic with the publisher and The Bottle Imp of Bright House is that much closer to seeing the light of day, getting into the hands of readers, and finding a place on my bookshelf. 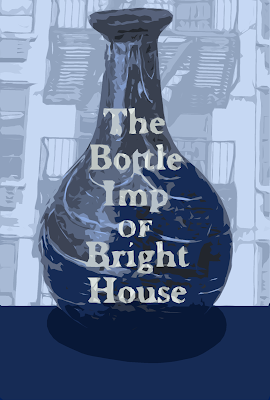 The story is a modern-day retelling of a Robert Louis Stevenson short story, The Bottle Imp. Our hero, Gabe, gets his hands on a bottle with a tiny imp inside. A djinn. The bottle grants wishes to whomever owns it. But for every good wish granted, the scales need to balance out somehow. If you wish for a million dollars, then someone else loses a million. If you wish for a job, then someone else gets fired. And if you wish to save a life, well, then things can get deadly. The bottle comes with another price, too. If you die with the bottle in your possession, then the devil gets your soul. The story is set in a funky old apartment building full of quirky mysterious characters--a landlady who likes to set fires, an astrologer who can't sleep nights, the studio of a famous painter whose paintings have never been seen, and a girl who wants Gabe dead. I like this book. But I like all my books. I'm a biased parent. But I do like this one a lot. Don't tell the others.